During iPad mini pre-orders Canadian customers were surprised to discover white models were immediately delayed two weeks from the start. 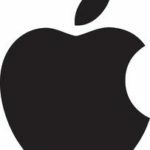 Apple’s delivery estimates noted a November 21st shipping date for orders but less than a week after the iPad mini launch, white iPad mini orders have finally shipped. 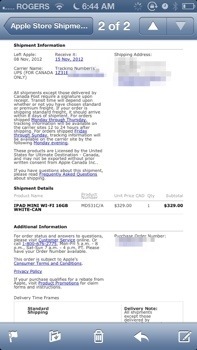 Taking a look at the image below, our white iPad mini order has shipped and is expected to arrive by tomorrow. We also heard from other readers their white orders have shipped as well. After calling a couple Apple retail stores (Pacific Centre, Richmond Centre) and resellers (Future Shop, Best Buy, London Drugs) asking about iPad mini stock we were told they were sold out. Clearly people are snatching up the smaller model or Apple is having a difficult time keeping up production in their supply chain. During the launch, numerous Apple retail stores sold out of the device. Has your white iPad mini pre-order shipped yet?